Vancouver - Sunset Skyline - 24P - ProRes 4:2:2 10 Bit - UHD 4K Skyline of downtown Vancouver at sunset. Also seen is the Cambie street bridge as well as BC Place stadium. 4k00:20Vancouver - Sunset Skyline - 24P - ProRes 4:2:2 10 Bit - UHD 4K Skyline of downtown Vancouver at sunset. Also seen is the Cambie street bridge as well as BC Place stadium. 4k00:19Vancouver - Sunset Skyline - 25P - ProRes 4:2:2 10 Bit - UHD 4K Skyline of downtown Vancouver at sunset. Also seen is the Cambie street bridge as well as BC Place stadium. 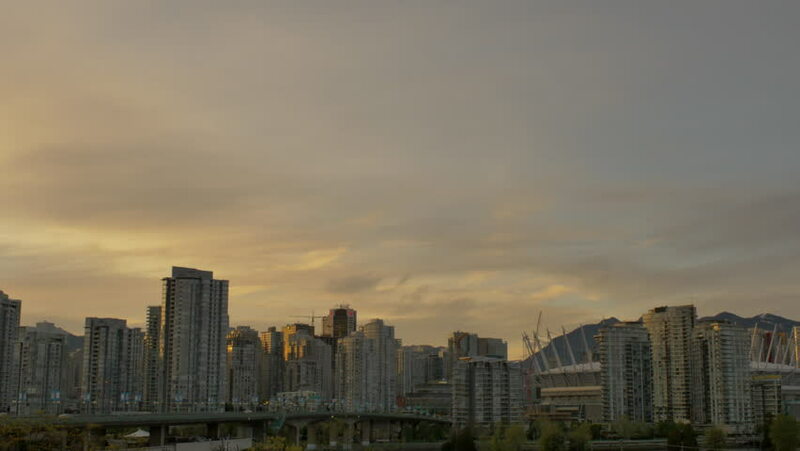 4k00:20Vancouver - Sunset Skyline - 25P - ProRes 4:2:2 10 Bit - UHD 4K Skyline of downtown Vancouver at sunset. Also seen is the Cambie street bridge as well as BC Place stadium. 4k00:12Vancouver - Sunset Skyline - 24P - ProRes 4:2:2 10 Bit - UHD 4K Skyline of downtown Vancouver at sunset. Also seen is the Cambie street bridge as well as BC Place stadium. 4k00:15Time lapse day to night of Bangkok city.